polyamide solutions and worldwide leader in materials for engine cooling systems, introduces an innovative hydrolysis and road salt resistant Technyl®eXtengrade which broadens its product offering for demanding automotive thermal management systems. Initially developed for Japanese and Korean carmakers, this new material demonstrates high chemical resistance to calcium chloride, the preferred road salt used in countries with lower freezing temperatures, such as Russia. Valeo, a global leader in the automotive industry, selected Technyl®eXten because of its attractive cost/performance ratio compared to metals or alternative plastics. The material obtained full approval after rigorous testing and will be used for radiator-end tanks in a future Renault-Nissanplatform. Solvay Engineering Plastics is the historical leader in automotive cooling systems solutions andoffers a complete array of hydrolysis-resistant Technyl®‘34NG’ products ranging from25 to 50 percent glass-reinforcement. 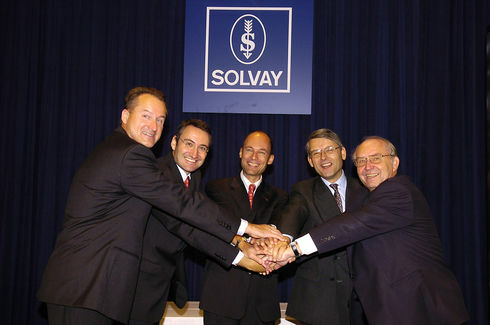 They are specifically designed to resist the most demanding requirements for every part in contact with glycol, such as radiator-end tanks, expansion tanks, thermostat housings and oil modules.In addition to assisting Tier one suppliers in the material selection and validation, Solvay Engineering Plastics also provides OEM-approved testing capabilities to validate parts. 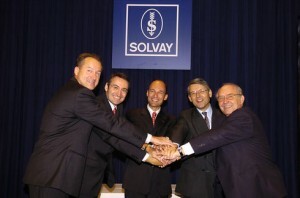 “Building on the success of our historical position in providing pioneeringmaterials for automotive cooling systems developed with major industry players, we are fully committed to pursuingour investment in product innovation to enableour customers create new solutionsfor thermal management applications,” saysPeter Browning, Global Automotive Market Director for Solvay Engineering Plastics.